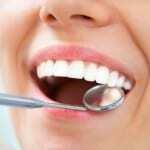 General dentistry includes the dental services that help you maintain your best oral health. At Georgian Shores Dental Centre, we know that choosing a dental clinic can often come with lots of questions. For example, you may be wondering what general dentistry involves exactly. Fortunately, the answer to that is fairly simple, because at our general dentistry practice we offer all of the services you need to keep your smile looking healthy and bright all the time. General dentistry not only involves routine cleanings and preventative dental care, but it can also include the dental services that help you maintain your best oral health. Examples of this might be a tooth extraction, wisdom teeth removal, or adding a bonded filling when you have a cavity. At Georgian Shores Dental Centre, we offer general dentistry as well as the other dental solutions you may need, such as cosmetic or family dentistry services. That means you can make an appointment for your entire family, know that you are receiving the best dental care around, and enjoy the option to address cosmetic issues that affect the way you feel about your smile. If you are coming from the Thornbury, Ontario area, you’ll quickly find that one of our two offices in Midland or Collingwood is convenient for your next appointment, and we will be happy to walk you through the general dentistry procedures we use to help you maintain your best oral health. Then we’ll recommend your next appointment window within 6-12 months to ensure that your oral health stays on track. Contact us today if you have questions about general dentistry or would like to make an appointment for yourself and your family. At Georgian Shores Dental Center, we offer general dentistry services at our Midland and Collingwood dental clinics for residents of Collingwood, Creemore, Midland, Nottawa, Penetanguishene, Perkinsfield, Port McNicoll, Stayner, Thornbury, Victoria Harbour, Wasaga Beach, and Wyevale, Ontario. We serve the specific dental needs of each and every member of your family! Book your dental hygiene cleaning and new patient dental exam appointment today & receive a complimentary service! At Georgian Shores Dental Centre, with locations in Midland, and Collingwood, we’re here to change the way you think about going to the dentist and ultimately provide you with all of the services you could ever need to maintain a bright, vibrant, and beautiful smile. Contact Georgian Shores Dental Centre Today! Come Visit Our New Dental Clinic in Midland!